Universal Red/Green/Blue (RGB) LED Mini Controller & Dimmer with built-in buttons can control most 5~24VDC RGB LED products. Features 20 static color modes with brightness control and 19 dynamic color-changing modes with Speed control. 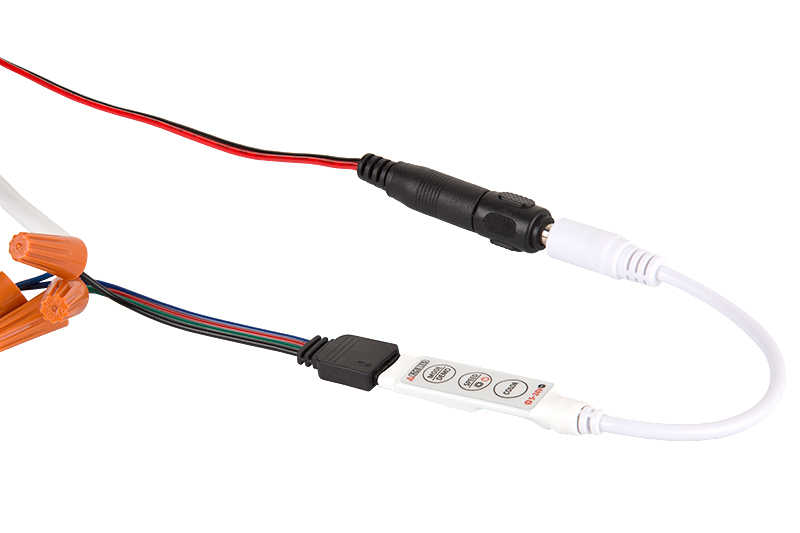 Comes with 3.5" CPS power plug for easy plug and play installation. Maximum load is 4 Amps per channel (3 channel). 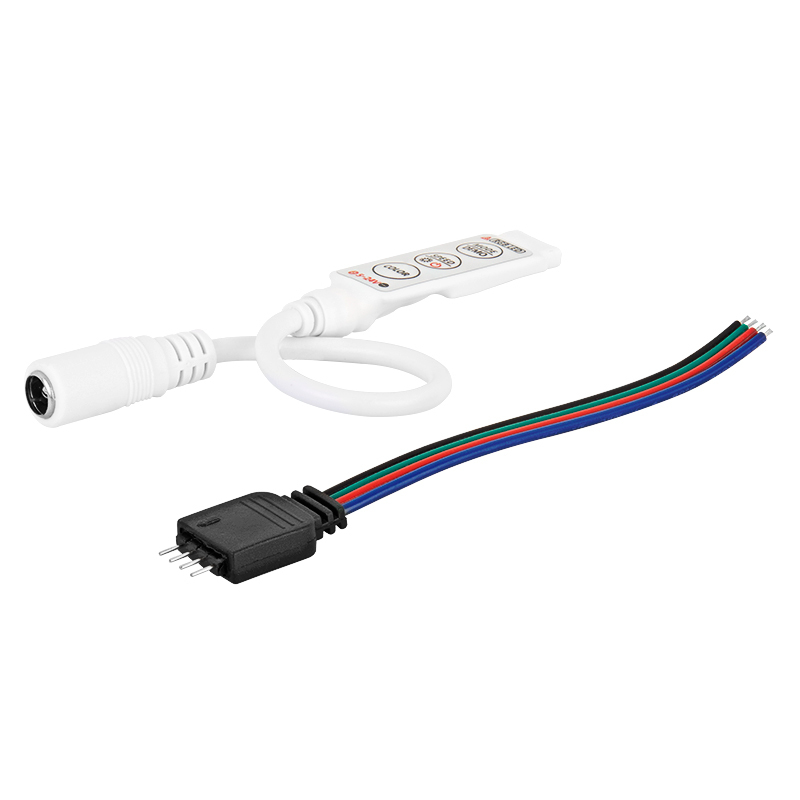 4-pin RGB pigtail connector included. 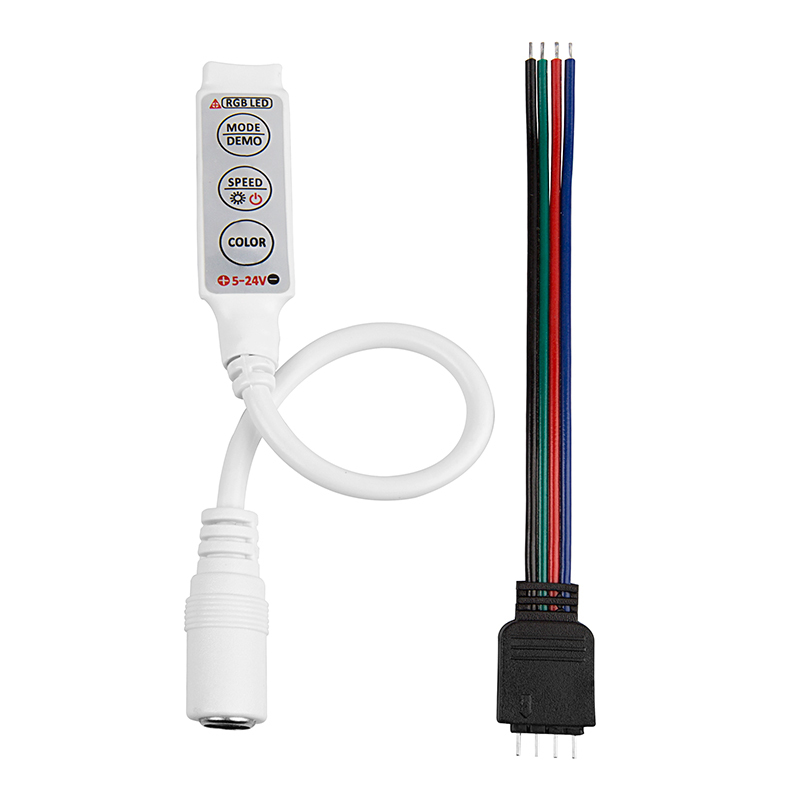 The model MCB-RGB4 is a Mini RGB controller with function buttons on board to control and dim any of our Red/Green/Blue (RGB) LED Light Bars and Light Strips. Several different static colors (including pure white) and dynamic color changing modes are selectable and adjustable using the buttons on the RGB controller. Only power with 5~24VDC power supply. QUICK and SLOW speed buttons will only work when unit is in one of the color changing (dynamic) modes. Controller can control a maximum of 30 meters of our Flexible RGB LED Strip. Over 30 meters, the strips have to connect with an amplifier to reinforce the transmission of signal. Use one RGB Amplifier for every 30 meters of additional LED Strips. Do not exceed 80% of Power Supply capacity when calculating Power Supply size to use in your system.